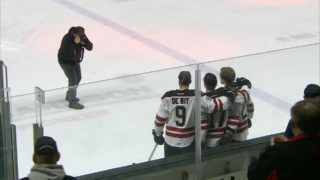 The Red Deer Rebels suffered a WHL overtime setback Friday night, but in hindsight they lost the game in the third period. The Rebels, following a so-so performance through the first two periods, outshot the Regina Pats 17-2 in the final 20 minutes of regulation time, but couldn’t direct one past netminder Max Paddock. 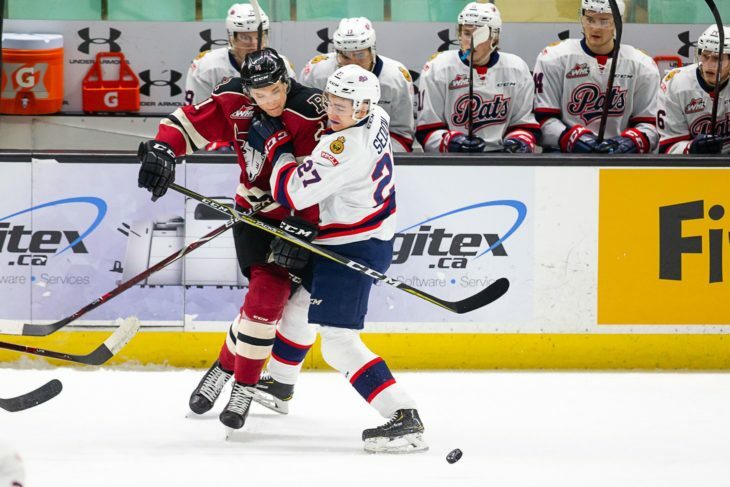 Forward Brandon Hagel was assessed a hooking penalty in the first minute of overtime and with three seconds remaining in the Pats’ power play, Ryker Evans scored on a slapshot from the right circle to give Regina a 3-2 win. 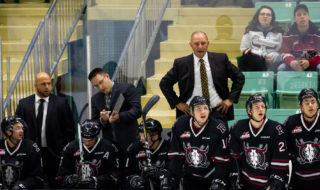 “That team plays hard, they work,” said Rebels GM/head coach Brent Sutter, tossing some accolades the Pats’ way. The Rebels, whose losing streak was extended to four games, never trailed in the contest but also failed to secure more than a one-goal cushion. Cam Hausinger snapped a scoreless tie 1:35 into the second period, beating Paddock high to the blocker side from the top of the right circle. But the Pats responded with a man-advantage marker just 64 seconds later when Ty Kolle buried a rink-wide feed from Brady Poteau. “Our penalty kill in the last two to three weeks hasn’t been very good. Again, two power play goals against,” said Sutter. Brett Davis, with his 16th of the season and on the power play, restored the Rebels’ lead at the midway point of the second frame, one-timing a perfect pass from Brandon Hagel into the back of the net. 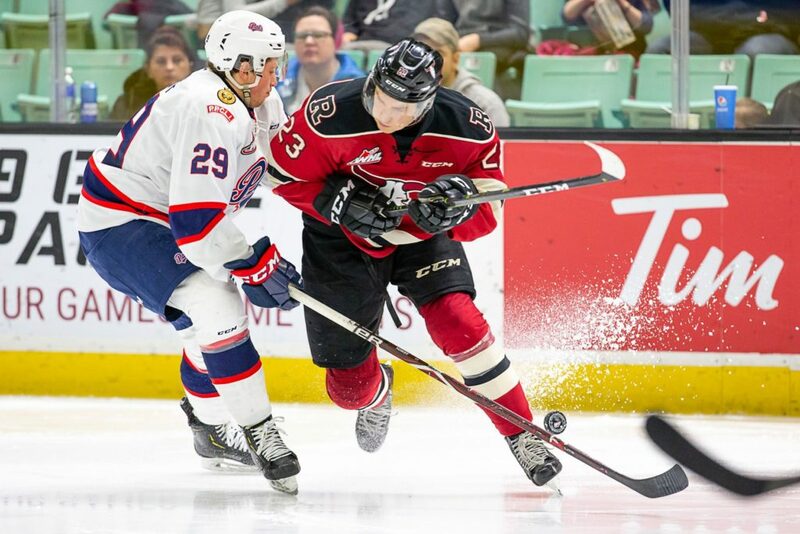 The assist moved was the 161st of Hagel’s WHL career and tied the 20-year-old with Arron Asham for the most helpers in Rebels franchise history. Regina pulled square just over five minutes later, with Logan Nijhoff beating netminder Ethan Anders from close range following a centering pass by Blake Allan, and the visitors then lived off Paddock in the third period. The Pats registered their only two shots of the third in the final minute and change, but converted the second of their two shots in the extra session. “I don’t know what else you say. We just have to find a way to get points,” said Sutter. “We’ll take the point and move on but we still need better from some guys. On the bright side, Russian rearguard Alex Alexeyev made his return to the Red Deer lineup after sitting out nearly three weeks with an upper body injury. His calming presence and puck-moving ability helped the Rebels defensively and he was also impactful on the power play, which finished one-for-five. “You can tell, it’s pretty obvious,” said Sutter of the importance of having the Washington Capitals prospect back on the roster. Alexeyev was credited with three shots on goal. Notable: Paddock finished with 31 saves and was selected as the game’s second star. 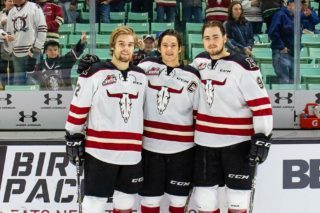 Hausinger earned first-star honours and Evans was named third star . . . Anders made 24 saves . . . Attendance was 3,908 . . . The Rebels host the Moose Jaw Warriors Saturday . 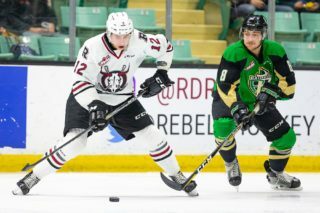 . . Red Deer moved into sole possession of fourth place in the Central Division with the single point. 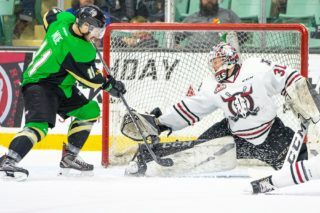 The Calgary Hitmen were thumped 8-2 at home Friday by the Prince Albert Raiders and are one point back of the Rebels.